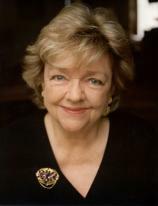 If the remarkable late Irish writer Maeve Binchy ever paused during a prolific career to muse over her legacy, she needn’t have. Those near, far and dear to her, as well as millions of unmet fans to whom she became a richly nuanced voice of womanhood, will not let her creative genius be forgotten anytime soon. A FEW OF THE GIRLS is one of those rare collaborative efforts that successfully pays honest and profound tribute to an author whose passions embraced an amazingly broad swath of society, one in which everything typically Irish becomes wonderfully universal as well. Binchy’s agent Christine Green, with editors Juliet Ewers, Carole Burton and Pauline Proctor, compiled this sweet-sad-glad-mad collection of three dozen gems that go straight to the heart, while never ignoring the engaged mind. The results read as if Maeve herself (who died in 2012 at just 72) was at the table helping them shuffle lists of titles over coffee. Oh, to have been a proverbial fly-on-the-wall, overhearing that lilting conversation and collegial argument! "A FEW OF THE GIRLS is one of those rare collaborative efforts that successfully pays honest and profound tribute to an author whose passions embraced an amazingly broad swath of society, one in which everything typically Irish becomes wonderfully universal as well." And it’s no random sequence of tales, either. Enormous knowledge and forethought must have been poured into gently gathering some of Binchy’s finest prose to reflect places in life where we’ve all spent some of our most exhilarating and traumatic times. How can one not be drawn into emotionally laden categories like Friends and Enemies, Love and Marriage, Your Cheating Heart, Relatives and Other Strangers, Work and No Play, or even Holidays? Each cluster of stories probes vulnerable places in what we mistakenly call “ordinary” lives, often tracing out the results of choices made, decisions avoided, relationships endured, or futures dreamed about --- especially when it comes to matters of the heart and the complex web of networks they spawn. For the most part, Binchy looks at society’s expectations, restrictions and opportunities through a feminine (and sometimes feminist) lens, where male motives are scrutinized in such uncompromising detail as to make one squirm with indecision. For example, who, if anyone, is “wrong” when a chance relationship falls apart before it begins (“Picnic at St. Paul’s”)? Or who really orchestrates the seduction in a seemingly classic secretary-married boss tale of calculated infidelity (“A Tactful Conversation”)? And what can reverse psychology do to create a nurturing opportunity for a “bad influence” child (“A Result”)? Open A FEW OF THE GIRLS anywhere at all, and before you know it, Binchy has swept you up into the core of someone’s life story as if you’d known them for years. She almost dares you to form premature opinions about their principles and decisions before taking a subtle left turn here, an ethical detour there, or an intuitive leap of faith that surprisingly turns out right. There’s never a dull moment in the “ordinary” lives that she lays charmingly, wittily and sometimes tragically bare. While most of the “girls” who populate these stories are women of various ages, maturity, means and manners, one stands out for me as perhaps the most poignant and lovely of them all. “Audrey” is a cat, whose walnut-sized brain contains more wisdom, resourcefulness and compassion than many of the humans she encounters after the elderly woman with whom she lived all her life dies. Binchy draws a sweet yet thoughtful portrait, following Audrey’s painstaking method of choosing just the right new family to adopt. Through her well-honed feline senses, we learn about the various sad, hopeful and oblivious humans who cross her path. It’s a rare vantage point and oddly compelling. From Audrey, we learn never to underestimate the perceptions of our companion animals --- but, above all, never to underestimate Binchy’s power to turn simple lives into memorable ones. 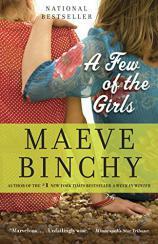 A FEW OF THE GIRLS is an exquisitely seasoned sampling of Binchy’s best.